Last week, rather quietly and with no formal announcement, the Flamborough and Filey Coast Special Protection Area (SPA) was officially classified. 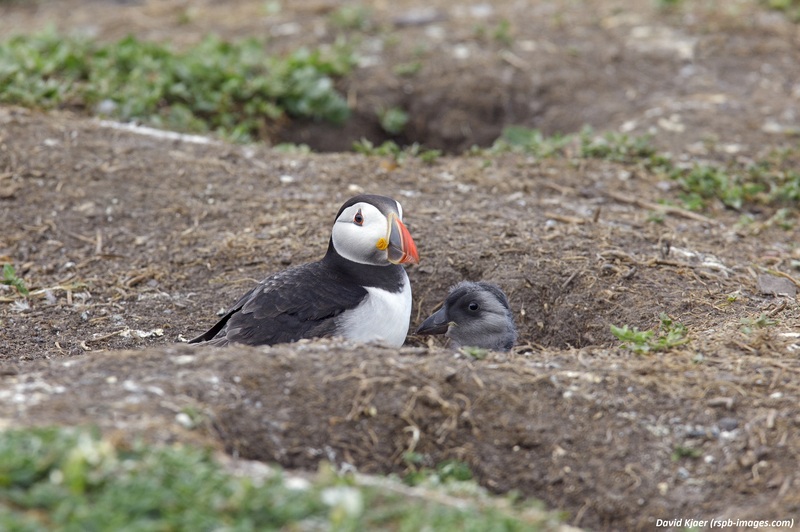 The designation of this internationally important site for seabirds is an important step towards the delivery of the UK Government’s vision of clean, healthy and well managed seas and is welcomed by the RSPB. The RSPB’s Nature Policy Officer Sarah Hudson tells us about a recently completed exciting new project tracking four species of seabirds. The study identifies the vital at-sea foraging areas of kittiwake, guillemot, razorbill and shag from colonies all around the UK. Tyne kittiwakes: What’s the RSPB doing? In recent weeks, a number of kittiwakes have become trapped in netting on buildings on the Newcastle Quayside, which has caused lots of concern locally. Helen Quayle, the RSPB’s Marine Conservation Officer and Chair of the Tyne Kittiwake Partnership, explains how the RSPB and the Partnership have been working to protect kittiwakes and how people can help. RSPB’s senior policy officer Gareth Cunningham is back with another tale of his seabird journey. In this blog post, Gareth visits the beautiful St Bees Head in Cumbria. In late May, Yorkshire’s seabirds received some special visitors seeking to learn more about this special coastline and its inhabitants. Despite the fog, the cliffs of Bempton and Flamborough provided a spectacular setting to discuss how marine planning can help our sealife. As the Government gears up towards the latest round of protected marine zone consultations, RSPB’s senior policy officer Gareth Cunningham has been touring England’s best sites for seabirds. He’s ditched the formal trousers for leathers and hopped on his bike, on an exciting journey to highlight some of our amazing coastal wildlife. Gulls have long been associated with coastal towns, particularly herring gulls, however, this proximity to people can lead to conflict exacerbated by misconceptions and ineffective management measures. The RSPB’s Helen Quayle reports on gulls nesting in Scarborough, responds to concern over netted birds and calls for positive action. Blue Planet 2 has been the most watched television programme of the year, and for good reason, with its stunning cinematography and charismatic cast of characters. Steph Winnard, International Marine Project Manager for the RSPB, discusses the highlights of the show for her, and why the stories of the human impact are the scenes she won’t be forgetting. Jonathan Hall, RSPB Head of UK Overseas Territories Unit, talks cheeky penguins, kelp forests and marine reserves in our latest sealife blog. The ‘green seas’ featured in the latest spell-binding episode of Blue Planet II were dazzling. And the fact that many of these habitats, from shimmering sea-grass beds to epic underwater forests of kelp, are actually found in British waters is amazing. Marine health check result – action needed! Gareth Cunningham, RSPB Senior Policy Officer, reports from Cork in the Republic of Ireland where an important review of the health of our seabirds and the wider marine environment has been released. Atlantic Puffin at the crossroads – terminal decline or a cyclical slump? In 2015, the red-listing of puffin as vulnerable to global extinction rang alarm bells for everyone interested in the health of our oceans, writes Euan Dunn, RSPB Principal Policy Officer. Today's blog is by Kat Holmes, Policy Officer. In her recent trip to our Bempton Cliffs reserve, she reflects on what Brexit will mean for the future of our fisheries policy and how that will affect our precious seabirds. RSPB Scotland Marine Policy Officer Peadar O'Connell brings us this new blog on the successes we've seen in marine conservation in Scotland and why we need to keep pushing for more action to protect seabirds. Every third breath you take comes from the ocean – or more specifically the millions of tiny plant life that live there. Our seas support billions of life forms, including humans, but they’re under threat. It is vital that we protect them. The RSPB has been working with salmon netsmen in Filey Bay, Yorkshire, to tackle seabird bycatch in their fishery. I’m pleased to present a guest blog by Rory Crawford from the BirdLife International Marine Programme, who introduces (and stars in!) a film showcasing this work and the stunning wildlife of our Bempton Cliffs reserve. Can marine planning deliver protection AND prosperity? This is a copy of a blog post I've done for our EU partners in BirdLife Europe, examining how spatial planning at sea can deliver for the environment and economic prosperity, particularly renewables and meeting our climate change targets. Remember to add your voice to over 250,000 others calling for the Nature Directives mentioned below not to be opened up by clicking here. What are Marine Protected Areas really worth? On Friday, I had the pleasure of organising a workshop and boat trip between the RSPB, other NGOs, Natural England and the Marine Management Organisation (MMO), based around the links between emerging marine plans and the EU Marine Strategy Framework Directive (MSFD). We’ve just handed in our response to Government on another 23 potential Marine Conservation Zones around England’s coasts. Along with many other responses from other interested parties, these will go into the machine and in a few months we hope that a decision to designate all 23 will emerge. 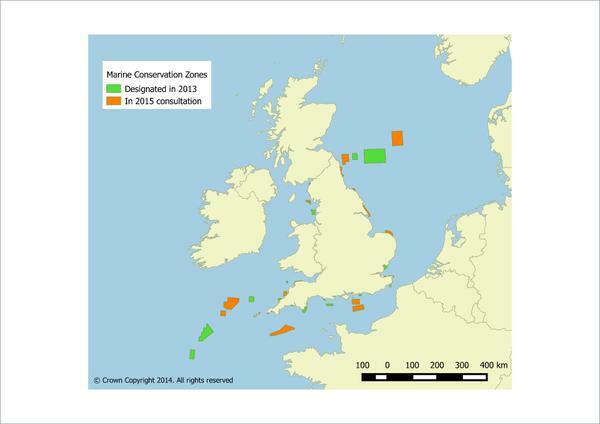 Today, two important consultations for marine conservation close in the UK. Firstly, there is the consultation on the proposed second tranche of English Marine Conservation Zones (all 23 of them), which fills in some of the biggest gaps in the network. We’ll have a separate blog about this in due course.